The compact semi-automated clinical chemistry analyzers are perfectly suited for small laboratories and as backup solutions. Each analyzer offers dedicated features for individual requirements. HumaLyzer Primus can be equipped with up to 8 out of 13 different filters, thus being most flexible in answering any needs. Offering 60 channels and three different measuring temperatures HumaLyzer Primus is also suitable for many life science applications. Store up to 2,200 results and transfer them to a LIS system. Due to its minimum reaction volume of only 250 µL HumaLyzer 2000 is ideal for small sample volumes like pediatric samples. To answer miscellaneous applications the photometer can be individually equipped with up to 8 out of 12 different filters. 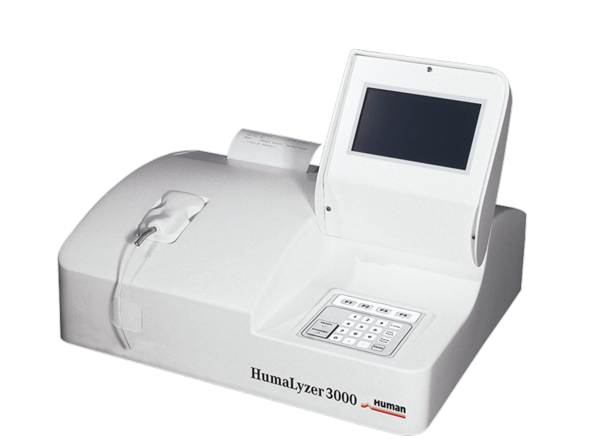 Due to its low minimum reaction volume of 250 µL the HumaLyzer 3000 is ideal for small-volume samples like pediatric samples. An external PS2 keyboard allows for a more convenient input of patient data and transfer to LIS eases handling. 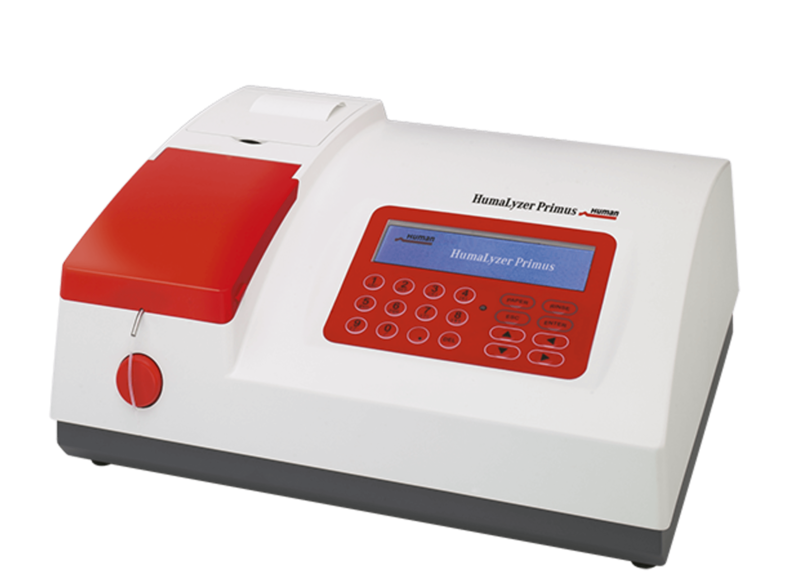 The photometer can be equipped individually with up to 8 out of 12 different filters.